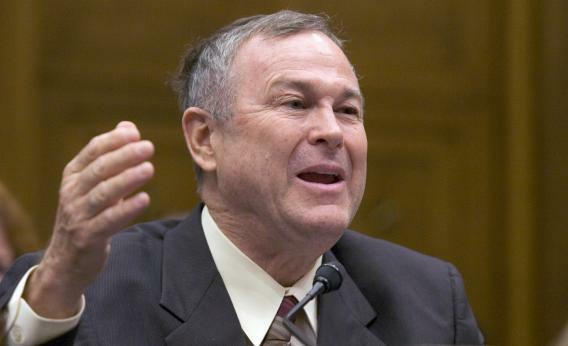 Dana Rohrabacher should know the difference between energy and power. Washington, UNITED STATES: US Representative Dana Rohrabacher, Republican from California, testifies on the business perspectives of comprehensive immigration reform during a hearing by the US House Judiciary committee’s subcommittee on Immigration, Citizenship, Refugees, Border Security, and International Law. This is a very basic distinction. Not understanding it is analogous to not comprehending the difference between where you are and how fast you are going. Just as velocity is the rate of change of position over time, power is the rate of change of energy over time. This matters because energy storage is one of the pressing technological challenges of our era. If you can store energy at a large scale, renewable energy—wind power in particular—becomes a far more attractive, and feasible, proposition. “Storing power,” on the other hand, is, strictly speaking, an oxymoron. It is sometimes used as a colloquialism for very short-term energy storage (which can be used to smooth transient fluctuations in the electric grid). It doesn’t take a Ph.D. in physics or engineering to understand the difference between energy and power. It does not even require an associate’s degree. What it does take is five minutes. There is nothing simple about solving the world’s, or even America’s, energy dilemmas. The trade-offs are vexing, and the technologies can be complicated. But for a member of Congress like Rohrabacher—a member of the committee charged with overseeing the government’s energy research, no less—not to understand the basic terms is deeply worrisome.